Find ritual and ceremony in the tea making process. I find my meditative moments in activities which keep my body busy, and in which my mind can daydream. Activities like yoga, drawing, painting and crafts can stimulate our bodies but allow us to daydream and give our minds some chill out time. Meditative moments can also be found in simple activities, like brewing a cup of tea. Consider this: Making tea by dunking a tea bag into boiling water a few times, then rushing into the next thing on the ‘to do’ list, forgetting about your tea, letting it go cold, then tipping half of it away. Does that sound like a nice cup of tea? A naturopath’s dry herb apothecary. As a naturopath, I believe in having respect for plants, and respect for the plant foods I place into my body. Tea – whichever kind of tea you are drinking – is a product of a plant and the vital energy of the plant should be respected. This is one of the reasons I exclusively enjoy loose leaf tea – it’s fresh and full of nutrients. I also like to take mindfulness into the preparation of my tea, filling my teacup with positive energy – energy I will mindfully drink into my body. Use all five senses to enjoy your herbal tea experience. little longer to boil than an electric kettle, and forces me to avoid rushing the tea making process. While the kettle is boiling, transfer the loose leaf tea you are using into the infuser of your favourite teapot or mug infuser. Look at the tea leaves or dried herbs. Notice the colour and texture of the tea. See if you can identify the herbs in the blend you are using. See how the colour of chamomile contrasts with lavender. 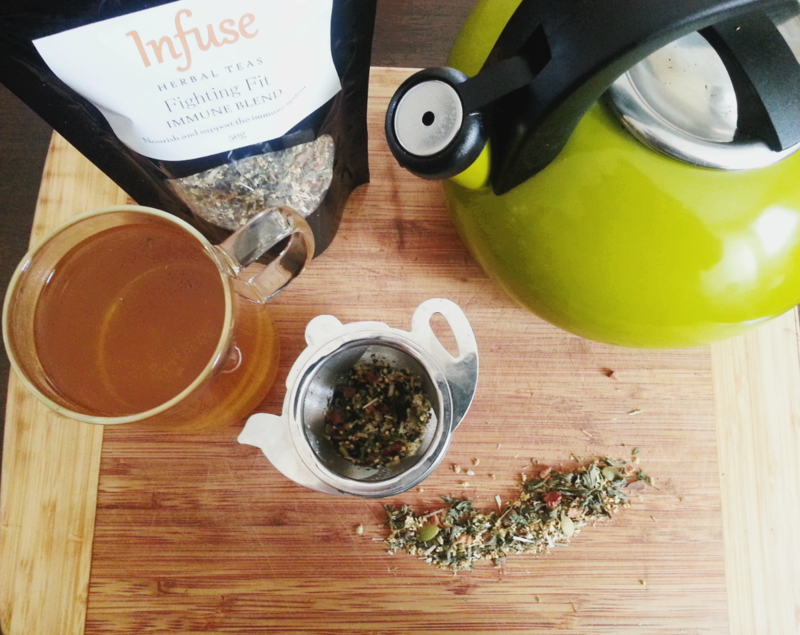 Touch and feel the herbal blend as you pour it into the infuser. 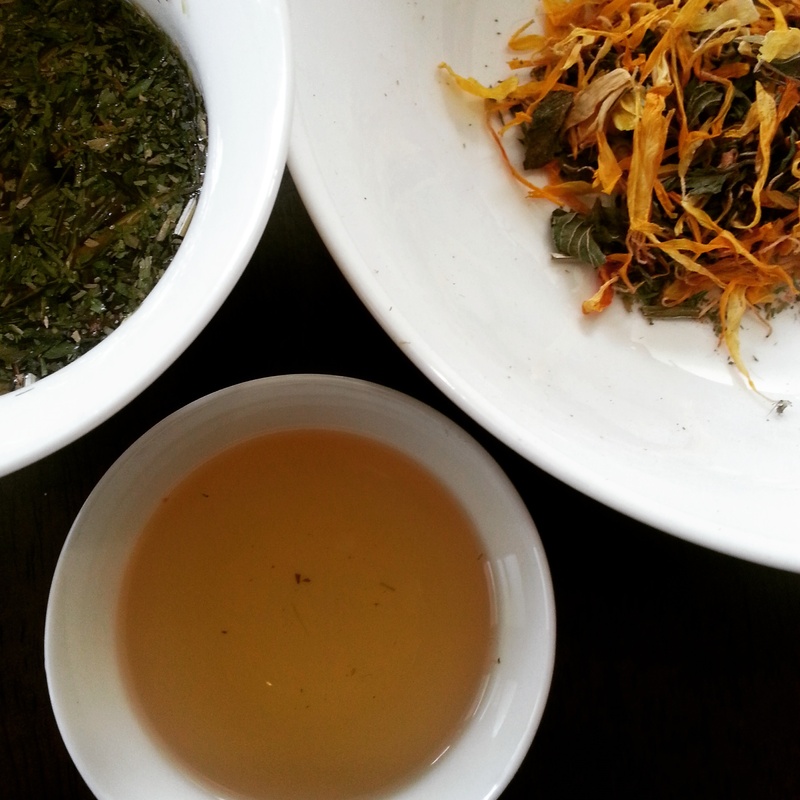 Notice the different texture of leaf herbs compared to root herbs. Breathe deeply and notice how the dried herbs smell. Once you kettle has boiled, pour the water over the tea leaves and inhale deeply. Notice the change in aroma as the water hits the dried herb. How is this aroma different to how the tea smelled when it was dry? Now that your tea is brewing you have some time to daydream. Green teas are best brewed for 30 to 90 seconds, black teas for 3-5 minutes, and herbal teas for 5-10 minutes, so herbal teas give us the perfect amount of time to slow down, tune out, and find a moment for ourselves. 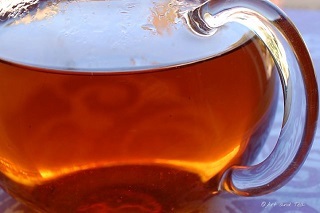 Glass tea ware allows you to watch the colour of your brew change as it strengthens. especially if you have been working at a computer. Practice mindfulness – if you have a busy mind, chances are you are thinking about completing the next set of tasks for your day. When these thoughts come into your mind, acknowledge them, and then acknowledge that these tasks will be done after this precious tea time. Close your eyes and listen to the sounds around you – what can you hear? Once your tea is brewed, remove your brewed herbs and extend your mindful tea making into the process of enjoying the tea. Smell and taste your tea. Appreciate the colour of the brew. Feel the warmth of the mug in your hands. Can you identify different flavours? Is the aroma similar or different to the taste of the brew? I encourage you to mindfully enjoy your cup of tea before moving on with your day. Drink in the nourishing positive energy you put into making this cup of tea. Tea time is YOU time. It won’t last all day, and all those tasks you need to complete can be worked on after your precious tea time. 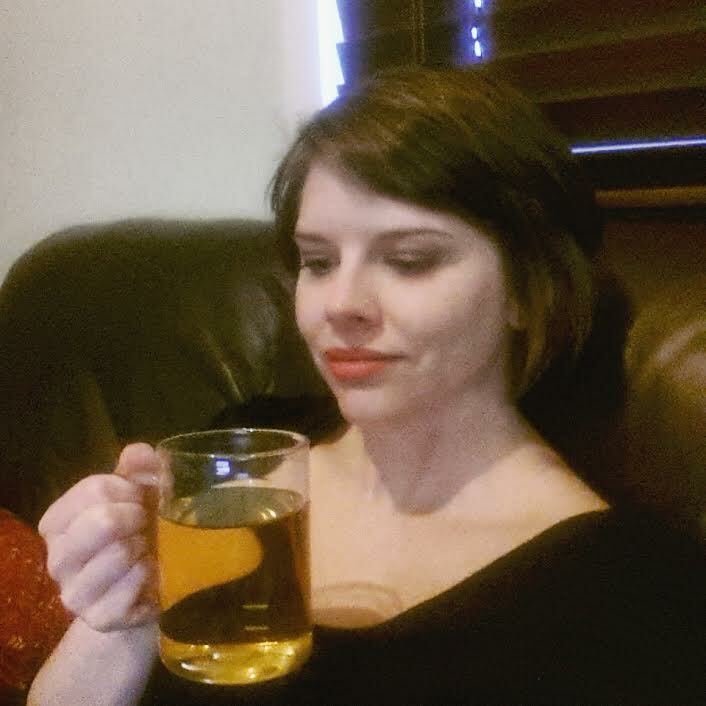 I take the time to mindfully meditate with my tea. – Deep, mindful breathing sends large amounts of oxygen into your body and into your cells, allowing them to thrive. Healthy cells = healthy body. – Slowing down our body and minds encourages our body to ‘rest and digest’ – creating the perfect environment for healing and nourishment to take place. – Deep breathing automatically lowers cortisol in our body. Cortisol is our stress hormone: it is produced when our body feels stressed, and high cortisol levels can have detrimental health effects like weight gain and adrenal fatigue. – Practicing mindfulness brings peace to our brains and encourages the production of happy chemicals like serotonin and dopamine. Enjoy the act of introducing mindful meditation to your tea making, infusing respect for your tea and respect for yourself into your tea brewing ceremony. Cheers to a happy, healthy cup of tea! creator of Infuse Herbal Teas.